So, here is my post for today - another Bingo Story, written für Get your words out - hope you will like. Zeke stared at the monitor of his PC, feeling moody. What the heck was he actually doing here, why did he watch this vid for the umpteenth time? The video, Casey had sent him this morning. He was in Tobolsk for over five weeks now and was supposed to come home soon. But Zeke had gotten an almost panicked call from Casey's mom some time earlier today, a heavy snowstorm was announced and most likely the airport in Omsk would be closed down for a while. What a big surprise! A snowstorm in Siberia. And Zeke didn't have the feeling that Casey would be unhappy about it. Obviously, he had a great time in the small town somewhere at the other end of the world. The magazine he was working for since some months had made this possible. Zeke did remember the day clearly when Casey had told him that his editorial office had asked him to go to Tobolsk for some time. "Siberia," had Zeke asked and stared at him in disbelief. "Yeah. Our chief editor is somehow related to the editor of a small art magazine in Tobolsk. He thinks it might be an interesting experience for me to volunteer there for a while." His eyes had sparkled with excitement and for sure Zeke didn't want to be the one who got into the way of his career. But ... for six weeks? And what did this mean for their future plans? It had been as if Casey could read his mind. "It's just a bit put back, Zeke, only some weeks. You could already look for an apartment. And when I come back ..."
He had tiptoed to place a little kiss on his lips. "When I come back, I will move in together with you. Promise. He hadn't been angry, just disappointed. And worried. Hadn't it been always like that? Every time, when his life had started to feel better, when he had dared it to let someone deeper into his heart, every time all his hopes and dreams were collapsed like a house of cards. And finally, he was alone again. "You can't even talk Russian," he had remarked. And Casey had laughed and told him that he had already bought a Russian language training program to acquire at least some basic knowledge. So he had already made a decision. All Zeke could do, was to accept it and to pretend that he was happy for him for getting this chance. Over the weeks, Casey had sent him a lot of photos and video, and they had chatted almost every evening, at least for some minutes. It wasn't difficult to notice how much Casey enjoyed his time in Siberia. "I'm fallen in love with this country," he had told him about a week ago. "It's amazing, the landscape is unique and beautiful. And the people are so nice, very generous and hospitable. Of course, often it's difficult to communicate with words, but there are so many other ways." And Zeke had wondered what 'so many other ways' was supposed to mean. With slightly narrowed eyes he stared at his computer monitor. Maybe this last video was the answer. Casey had mentioned the guy before. Boris, a young photo-journalist like Casey, he was working for the magazine Casey was volunteering and because he was able to understand at least some basic English he was chosen as his tutor during his stay in Tobolsk. Zeke huffed slightly. Obviously, Boris was more than just a tutor. Casey's voice came a bit muffled out of the loudspeaker. "Today I'm a bit in a hurry. Boris surprised me with something special." Surprise, huh? Zeke's mood hit the low point when the snow-covered landscape appeared on the monitor. Obviously a park, pretty romantic, with old street lamps and snow-covered trees; a large building in the background, maybe a church or a palace from old times; the golden roofs were sparkling in the sun, the walls as white as the snow around. Even Zeke could understand why Casey as a photographer liked this. It was a beautiful place, so different from everything one could find here, in good old Ohio, where even the snow never looked as white and pristine as in this scenario. A cozy looking, blue sled was waiting on the way, a white horse in front of it. A guy, the coachman, was standing beside of it, putting the horse-gear around the big head. He was dressed in a large, thick coat, a fur cap on his head, heavy boots on his feet. When the image changed suddenly another guy showed up, not as big as the coachman but similarly dressed up. Zeke always needed a moment to recover from the shock. This was so not the Casey he knew, the small, slender boy who still preferred to wear wide denim and checkered shirts, a bit geeky, yes, but it always made him smile, because it was characteristic for the boy he was fallen in love into. The guy in the video, though, looked like a stranger, despite the familiar blue eyes and the wide grin on his lips. It was easy to say that he was in a happy-hyper mood. He waved into the camera, smiling hilariously, and Zeke could hear someone talking in the background, in Russian. Of course, Zeke wasn't able to understand but Casey obviously did. "Need to go now," he said. "Boris did invite me today. He says he won't let me go home again without having done a sleigh ride around the Troparjowo Park." Casey's hand filled the screen when he reached for the camera and turned it around. A few blurred images of snow, the house in the background, the sled, then a tall, young man appeared on the monitor. Like Casey and the coachman he was dressed up in a dark, thick coat and a fur cap, he had dark brown eyes and obviously long blonde hair; some curls were peeking out from under his cap. "This is Boris," said Casey. Boris grinned stupidly and Zeke felt his anger growing. How could Casey fall for a guy like this? "My friend," translated Casey for him, then he put his arm around Boris' shoulder and stretched out his hand with the camera, so now both of them turned up on the screen, cheek to cheek, laughing. Thankfully only for a split of a second, otherwise, Zeke would have probably crashed his monitor. But the coachman stepped into the scenery, talking to Boris. The guy nodded and turned to Casey. "You ready," he asked in a dark, croaky voice. The camera still in his hand he climbed into the sled, followed by Boris, who grabbed for a thick, large, checkered plaid and pulled it over the two of them. The coachman took in his place on the small platform at the end of the sled, he grabbed for the rein and the horse fall into a slow trot. This was the moment where the video ended. "So you're back," Zeke said when Casey entered the arrival hall of the Akron airport; a backpack slung over his shoulder, the camera around his neck, as usual, pulling a heavy looking suitcase. He laughed and pulled Zeke into a quick, friendly embrace; Zeke felt a slight sting inwardly though he should know it better. Although it was much easier in Akron than in good old Herrington to be together with a guy, there were always people who would look at you with open destain when they noticed it. Zeke had never cared much about other people's opinion, but he knew, for Casey, it was still difficult to be out. "Yeah. It's great that you could pick me up." "Nothing big. The garage is slow at the moment, no problem to take some hours off." Zeke grabbed for the suitcase and turned to the exit, Casey followed him slightly frowning. "Hey, that's all? I've expected a bit more enthusiasm." Zeke knew he was acting stupid. He didn't understand it himself. 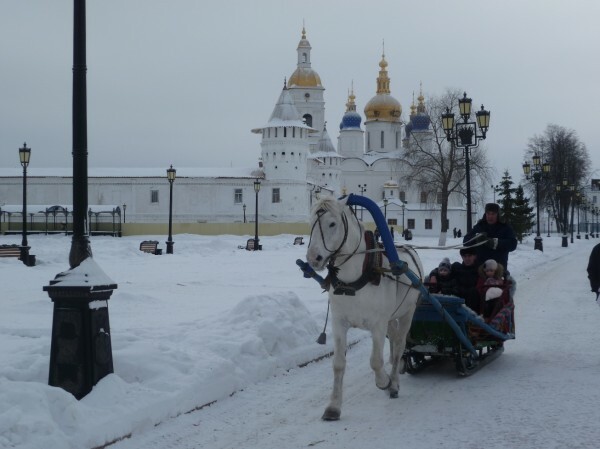 Casey was back again, Tobolsk, Boris, romantic sleigh rides ... all this he had left behind. So there was no reason to freak out anymore, wasn't it? "It was a long flight." "I will never get used to it to find some rest in a plane. Most of the time I have spent with leafing through my pictures. There are tons of it." "So you had a good time." "Yes, it was fun. The work at the magazine was so different. Sometimes it seemed to me as if the time has stopped somewhere in the sixties, the stuff they are working with is so out of date. But what they make out of it is amazing. The magazine is only a small one yet but the international art scene has already taken notice of them. I'm sure, one day they will be famous. No wonder, Boris is brilliant, he works wonders with his old Canon. I've never thought that he didn't work with a high tech camera." "Boris, huh," Zeke snarled and put the suitcase in the trunk of the GTO. "You were pretty close to him." "Oh yes, I was. He did even show me some of his tricks." For a second Casey paused, eying Zeke thoughtfully. "And I was living at the house of his family, they welcomed me as if I would be one of them. Even though it wasn't easy with the language. Boris is the only one who talks, at least, some English. But we somehow managed it to get on with each other. At the end, they were like close friends for me." "One day, at least, I hope so, Boris will be able to come to Ohio and I can give their hospitality back. You will like him. We could go to Cedar Points with him or to the Pro Football Hall of Fame. Boris is very interested in our Football." Zeke mood sank even deeper. "And so are you," he growled. Everyone knew, that Casey was not into sports, never had been. "I'm sure, you will have a lot of fun with him. Though I'm afraid, a football game isn't even half as romantic as a sleigh ride." Casey threw his backpack onto the back seat and snorted slightly. "What's wrong with you? You are acting as if you are jealous of him." Zeke turned away quickly in the hopeless try to hide the blushing on his cheeks. How embarrassing was that? Obviously, Casey had hit the nail on the head. He hadn't been willing to admit it, but yes, probably it was that easy. He was jealous. Jealous of Boris and all the wonderful moments he had shared with Casey. The next he felt were Casey's arms around his neck, not caring about the other people on the parking deck. "You can't be serious! Yes, I had a great time in Tobolsk. And yes, Boris is a good friend. But there was nothing more between us. Geez, Zeke, he is married, they are expecting their first child. And the sleigh ride was meant as a farewell gift. It's tradition; when a close friend is going to make a longer trip there will be a farewell party. Boris knew, I'm not into parties, so he found something else, he knew I would love." When Zeke still kept quiet, much too churned up for words, Casey chuckled. And so stupid. You should know me better. There is only one guy I want to be together with. And despite I enjoyed my trip so much, when it was time to go home, I didn't regret it even for a moment. Because I've missed you. All the time. And I don't want to be separated from you for such a long time again. So, can we go apartment-hunting tomorrow? Because I can't wait to move together with you." Yes, poor guy, it's so hard for Zeke to be soo far away from his boy. But he should know that Casey will always come back to him.